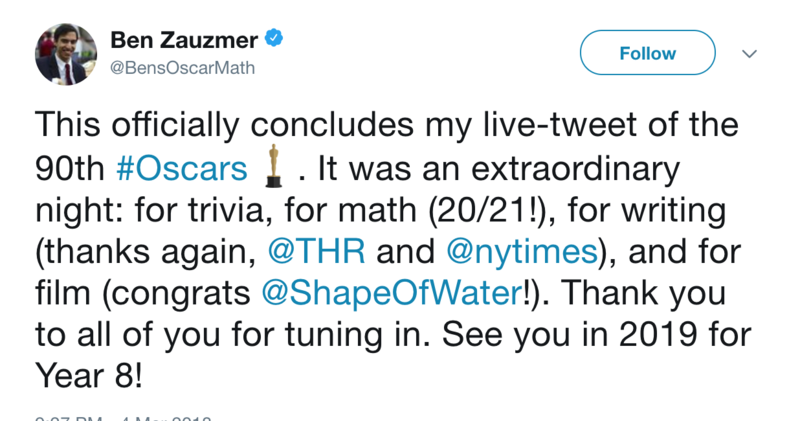 And the Oscar for Best Mathematical Performance Goes to …..
Ben Zauzmer, a Harvard Applied Math graduate who has a 75 per cent success rate in predicting the winners of Oscar Awards every year, has correctly predicted 20 of 21 winners in 2018 Oscars, which is a success rate of 95%. How does he do it? He gathers thousands of data points on Oscar ceremonies over the past two decades – such as categories movies are nominated in, other award results, and aggregate critic scores – and he uses statistics to calculate how good a predictor each of those metrics is in each Oscar category. 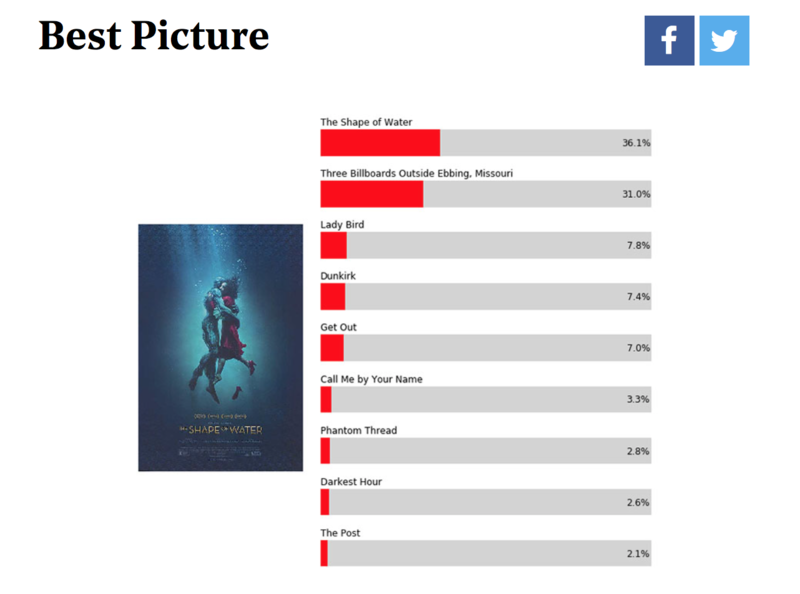 Then, he plugs in the numbers and that gives him the % chance that each film will win in each category according to the Boston Globe. This year the Best Picture was a close call, but Ben’s Mathematical Prediciton was correct.